According to a study released by Microsoft in 2015, the average attention span of a human is eight-seconds (What! ), less than that of a goldfish. Due to our digital connectedness, this number has shrunk significantly over the years. Our shortened attention spans can dramatically reduce our chances of finding the success we desire. However, with a combination of tools and a change in mindset, it's possible to eliminate distractions and improve your focus. Before you start any task, take some time to calm your brain. Take a few minutes to sit in a comfortable position and breathe deeply, I like breathing in to the count of 6, hold for 2, breathe out for 7. Before you approach any work, let your mind and body calm down. Doing this can help you concentrate when the time comes to get down to work. Focus requires an understanding of what is worthy of your focus. 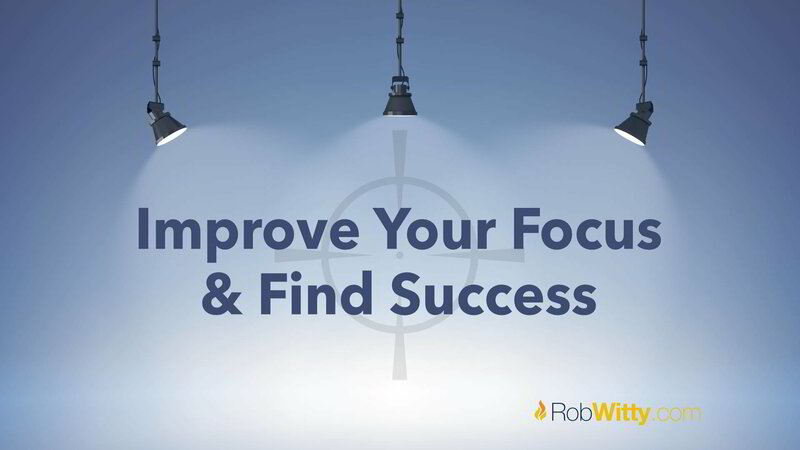 Your success will come down to implanting that focus into how you work. Take some time to identify those things that deserve your focus for the year, month, week, and day. Then block out time on your calendar dedicated to focus. When you need to focus, log out of your social media and email for a period during your workday. Unplug for just 30 minutes a day, either at the beginning or for a period in the afternoon. You'll be surprised by how much you can get done when you aren't always being interrupted by the need to return emails. If your work environment is too hot or cold, it could significantly impact your focus. Cornell University released a study that showed workers were more productive and made fewer errors when their environment was between 68 and 77 degrees. Rather than succumbing to distractions, build it into your workday. Taking a quick break in the middle of an unusually long task will help to re-energize your brain. Taking brief mental breaks will help you to stay better focused on the task at hand. If you find yourself stuck in a long meeting or conference, you can improve your focus by doodling. Doodling can aid in your cognitive performance, as well as your recollection because it helps to stabilize arousal at an optimal level. If you find that you are unable to focus on the tasks you need to accomplish to reach your goals, try these simple tips for improving focus. Without focus, you’ll never be able to achieve what you set out to do.